In our last Shifting Conversation post, the 250th in the series, Bruce shared the evolution of Modern Learners over the last five years, a few of the tools we use to thrive (and survive) as a team, and the pivots we made along the way. Since Bruce and Will have spent the past week traveling to facilitate Modern Learners’ Labs in Perth, Auckland, and Christchurch, Missy and I are eager to share more about who we are and what we have in store for you. It’s interesting, isn’t it, how we amplify lists of “Skills all Workers Will Need in 2040” and remark, “Did you know our students will be working in jobs that don’t even exist yet?” and with this certain amount of rhetoric comes the reality of living and working in a fluid, dynamic, primarily online learning environment. Occasionally we have to stop and consider what a different time and place this world of modern learning really is, and how it influences not only our work, learning, and connections with other educators, but also our lives and the lives of the children we love. We often hear in Modern Learners Community and Change School that we do a great job of modeling the way we learn and work in a way that motivates others to embrace the change. We field questions about how we get things done, how we bring new products to the world, and how we support our community with what they need, when they need it. So here’s a bit of an inside look at the ways in which our Modern Learners team connects and works in hopes of supporting educators for years to come. Geography and time zones know no bounds when trying to bring together our team of five. Eastern, Central, Pacific, Australian Eastern Standard Time – you name it, at least one of us is located somewhere the others are not. Often our ideal work time schedules are off by 12+ hours at a time. How do we accommodate this? We unlearned what it means to have “typical” schedules, spaces, and places. We work all shifts, before kids wake up, after they go to bed at night, before planes board, during breaks of workshops we facilitate, after connecting to hotel wifi. We hold synchronous meetings in Zoom. We dialogue asynchronously in Slack and co-create and share with Google Drive and Dropbox and Airtable. No matter where we are or what we’re doing, we can connect. Our mission is to change the school experience for children around the world by putting the focus back on learning. We are now charged with living that mission by developing meaningful, unique learning experiences for school administrators, teachers, and those invested in education. We are pursuing various paths to do so, each important to the overall construct of who we are as an organization and what we value. I’ll first speak to the component of Modern Learners that consumes (in a good way) my day in, my day out, my creative energies and my love of learning, and that’s Modern Learners Community. I’ve written before about the power of networks; I’ve advocated for learners to “connect” for nearly a decade. I’ve been the direct beneficiary of connections made with other inspiring educational leaders who have supported me and shaped me as a leader, especially in my early days as an elementary principal. But it’s in recent years that I’ve noticed less of an impact from the open social spaces I used to frequent, and that more learning opportunities arise in close-knit communities of practice based on a foundation of trust, shared understandings, and a commitment to personal learning. The networking opportunities in open social are still very real and available, and an educator who invests time and energy into following certain hashtags or posting to social spaces can eventually find information and people to support her learning. But it’s getting trickier to navigate those open waters, and often the content we see in our feeds is not dictated by our preferences alone, but by algorithms and behind-the-scenes methods controlled by social and political influencers. Open social is messy. It’s frantic, it’s often fraught with hate, and it can distract us from the task at hand: learning. Learning through connections. Connections to ideas, to people, to questions, to support, to diversity of thought, to resources. Connecting to learn. Inside our community, we make it a priority to craft a space for learning that includes carefully curated content, allowing our members to explore freely through topics and subjects and dialogue with other learners in a way that allows them to think and reflect transparently. It’s a safe space, one that allows the learner to be vulnerable and to share and gain perspectives. But due to the nature of our platform, the learners have incredible power in shaping their own learning paths – they, too, can share content and have access to other community members synchronously and asynchronously – our face-to-face Zoom sessions have been some of the most profound learning experiences I’ve encountered thus far. There are master classes and book studies and events. Inquiry and agency are at the heart of our interactions within the community, and right now, at over 500 members, we are seeing the incredible benefits of network effects and interactions inside a community that frees the learner from distractions of open social. It’s a space to commit, to challenge, to be challenged; a place to engage and a place to learn. Together. As we attempt to meet the personal learning needs of our members, we know some school leaders and teachers want to be involved in specific types of experiences – thus Change School cohorts are now run out of our main Modern Learners Community platform, and alumni have access not only to one another in a Group within MLC, but to the community at large. For life! So, where do we next focus this movement to change the school experience for all kids? To help put the focus back on learning for school teams in local settings, we’ve established Modern Learners’ Labs, because while powerful learning can occur in digital spaces, it’s nice to spend the day in the same room with passionate educators who bring their questions, ideas, and leadership strategies to the collective learning experience. Looking for a deep dive into particular topics of interest such as inquiry, student agency, assessment, and leading modern learning initiatives that matter? Then our Modern Learners’ Courses are for you. Coming this fall, our courses are not about one-way interactions around content; they’re about community. Because when you join us for a course, you have access to MLC and can collaborate, co-create, and dialogue together. 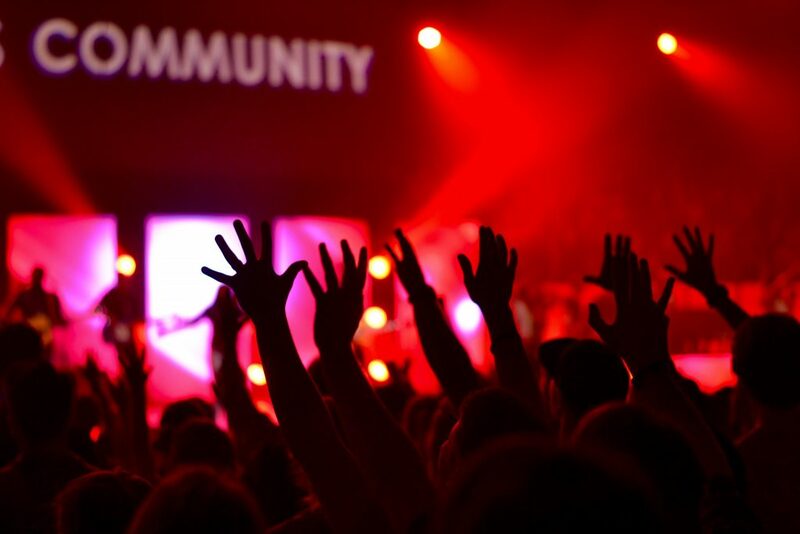 Courses come and go, but community continues to evolve and grow as your learning needs do. As the end of August nears, it’s back to school time for many learners here in the US. It’s easy to get overwhelmed with this experience. With trying to create the perfect learning environments for kids and keeping up with the latest school initiatives and changes. As our August MLC theme is all about the relationships of learning, we hope you’ll take the time to focus on relationships, first. Your collegial relationships with one another. Your relationships with learners in your care and their families. And your relationships with self. Make your own learning a priority. Commit to connect. Our modern learning world thrives on connections. We want to help connect you to the most thought-provoking minds and inspiring practitioners who are doing great things for kids. Together, we’ll reimagine the school experience for all learners. So, we seek more voices. We need you! Hope you’ll join us this year in one capacity or another. *Modern Learners Podcast #49 – Relationships, Leadership, and Learning with Superintendent Dr. Joe Sanfileppo – Our latest podcast is a great way to get energized for a new school year! *Flogging the Dead Horse of RSS by Dean Shareski – What is the most effective, efficient way to scour the feeds that pass through our channels every day? If not open social, might a return to a reliance on RSS be in order? *Will and I both started reading Troublemakers: Lessons in Freedom by Young Children at School, by Carla Shalaby, after catching the Twitter conversations around #CleartheAir facilitated by Val Brown. Eye-opening, awe-inspiring, causes you to reflect inward on the experiences between you and students you’ve worked with in the past and the ways in which you’ll change your perspectives and actions moving forward. 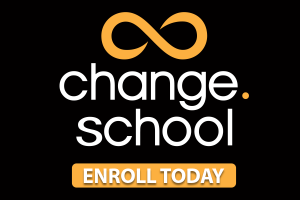 *Registration is now open for Change School 6 – Don’t miss your chance to be part of this intense 8-week sprint that builds your connections and capacity for change, and lifetime membership in a passionate community of coaches and leaders who help you make it happen. Hi, Rich, thanks for taking the time to comment! I think the longing for connections among educators has been so real for so long, it explains why so many teachers and administrators find great joy in their social media interactions with like-minded individuals… the challenge then becomes making sure you surround yourself with a careful mix of those who share your passions and those who think diversely and who can offer perspectives unbeknownst to you… that willingness to be challenged should be just as strong a desire as a willingness to be affirmed in the work we do! This is something I definitely think MLC offers most who join us there! Sharing and communicating as a network of professionals is paramount to present and future school administration and really any leadership role within any sector of the modern world. “Learning through connections” allows ideas to be shared easily and openly through all socials to reach all that trust and believe in your leadership. The further the reach, the more impact that leader can have on the learner community; the more connected, the faster information can be exchanged, which then translates to progress. Technology has the capability of closing distances globally, while face to face interaction should never be discounted completely as you emphasize.